This Curvi Yogi is Becoming a Person of Value! 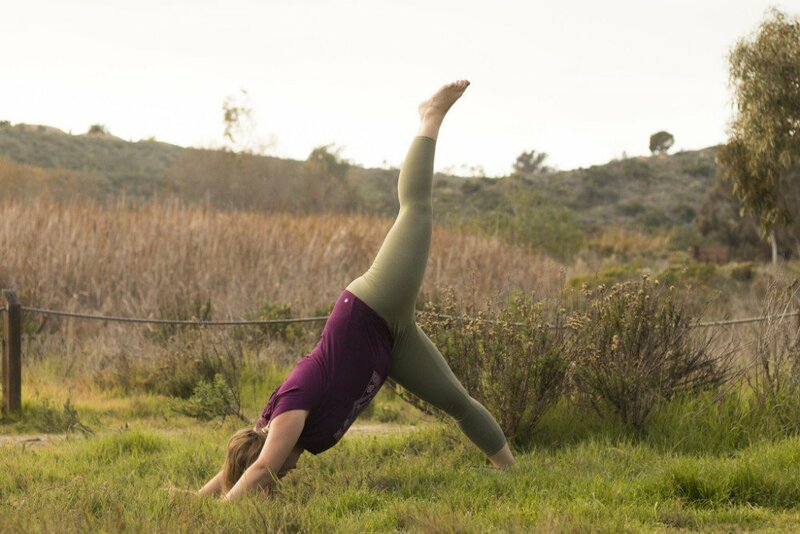 Meet Madi, a yogi who has taken the time to become aware of how beautiful and valuable her yoga body is! “ Try not to be a person of success, but rather become a person of value.”- Albert Einstein. I believe when we start to follow our true dharma, or our true calling, we become people of value and in turn become successful. Learning my truths in life have lead me to a path where I can learn the value of myself and what I contribute to this world. This year I’d like to focus my learning on school, about my own body and well being, or be it a cultural learning experience with my friends, family, or on social media to deepen the value of myself and deepen the value of others. This curvy yogi is becoming a person of value. My yoga journey is a bit sporadic. I was first introduced to yoga around the age of 9 or 10 by a family friend. I remember it being some cat/cows, I think a bridge pose, and savasana. I remember viewing the family friend as so knowledgeable, kind, and prosperous in her life. At that point, I didn’t really understand what yoga was, but I could see the way it affected and contributed to her life. I went through life as a fairly average girl until I was in a life changing car accident that lead me to begin a meditation practice. That meditating evolved into a semi regular asana practice at home to help get my body moving a little more. Yoga was so difficult for me in the beginning; Doing a full sun sal A had me panting like a pup in July. As the years have gone on most asanas have become easier, but a few I still have yet to master. But that is the wonderful thing about yoga! It will always be humbling regardless of how long someone has practiced. Being posed with this question, there’s a part of me that wants to expand on a laundry list of small problems, i.e; slippy yoga mats, leggings that roll down off my belly as soon as a bend over, other superficial things that happen regularly. But in the end, its deeper than that. Having little to no representation of bigger bodies in yoga clothes or even doing asana was very difficult in the beginning of my yoga journey. Feeling accepted even as a “yogi” or yoga practitioner in a bigger body seemed impossible, but then I came to realization that being accepted doesn’t really matter anyway. I’m in the process of getting over trying to look like what a “yoga body” should look like and accepting my body as it is! Overcoming my insecurities in my own body has been my biggest obstacle as a curvy yogi. At the end of the day feeling that I am allowed to practice in my own skin is what I feel I’ve accomplished through years of thought and earning to accept not only my body but other curvy bodies as well. My favorite yoga pose is either downward dog, or different variations of standing balance like fountain of youth and standing half lotus. Balancing helps me feel strong and really makes me focus on my breath and a single drishti point. Forearm stands are always a good time as well. My least favorite is probably chaturanga or up dog. My arm strength isn’t fully up to par in comparison to the rest of my body which makes chaturanga difficult for me, but I should do a modified version more often to help strengthen and heat my body! Up dog for some reason has always been a bit difficult for me as well in the shoulder area. While pressing down into my hands it seems to be harder for me to roll my shoulders out and away from my ears. Not sure if its from the lack of a more open chest or because of the girls getting in the way, lol. I do use props in my practice, usually a block or two, a strap if I’ve got it (otherwise a long sleeved shirt will work just fine), and a bolster or pillow if I’m feeling the Yin vibes. I’ve recently come to love balancing poses using a strap to help extend my reach to my foot or if I’m in a standing bind like bird of paradise. I also adore using a wall for arm balances like crow/crane to help balance and gain strength or for relaxation like in legs up the wall aka Viparita Karani. To other Curvy Yogis out there, keep going. Your body IS beautiful in that pose! On that note, you’re also so much more than your body/what your body may allow you to do. Your strength, courage, and fierceness is what drives you and your practice every day. There will be some days that feel like your mind or body isn’t cooperating, but its still so important to continue practicing, even if it is just 5 minutes of breathing and sitting with yourself. The yoga world is way over saturated with white, thin, able bodies and we can be the change this community needs! Your practice is so necessary to open the eyes of many people to what a “yoga body” should look like, including my own. Be the change! Thank you Madi for sharing your practice with us! You can find Madi on Instagram here. ← This Curvi Yogi is a SURVIVOR! Meet Nique!